I made these cards for family and a couple of friends. The one that had to go the farthest arrived, so I think I can safely show you the collection. They were a lot of fun to make and so far everyone has enjoyed getting them! 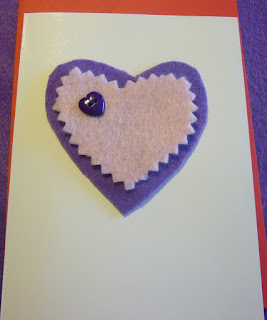 I cut heart shapes from felt and attached buttons and/or beads etc. to them as the fancy struck me. That is how I attached the small heart to the bigger one. 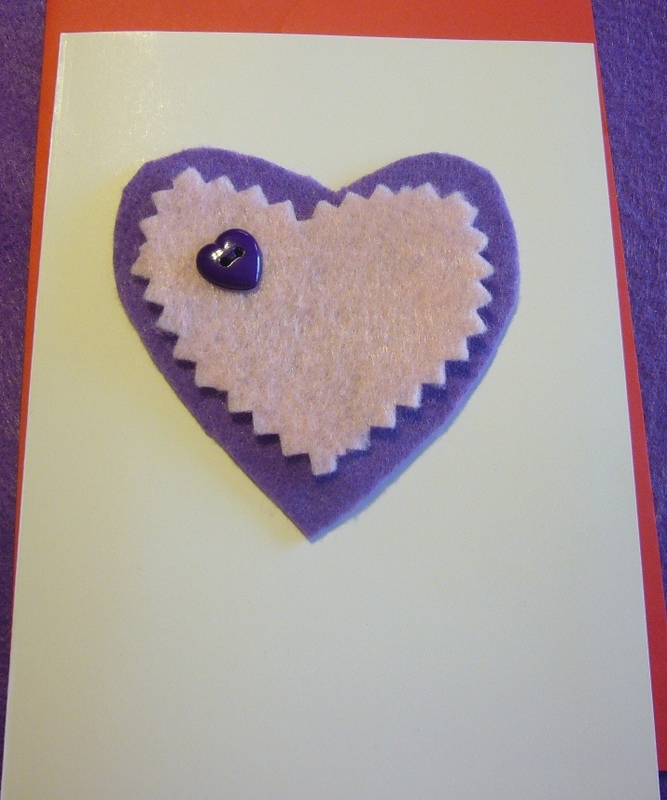 I then used glue dots to attach it to the card. I mailed them with a piece of comic book board over the heart to help protect it in the mailing. I think my favorite one is the pink on pink at the top left. It went to my mother in law since I know she likes pink. 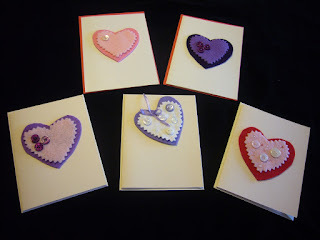 I sent the red and pink to my friend who likes red and the other purples went to folks who liked purple and some who I didn't know what color they would like, so they got purple. Very creative! Thanks for sharing this - you have given me some ideas. They are adorable, and so much prettier than store bought ones!! I bet they are a hit! What does 17 inches of snow look like? ?